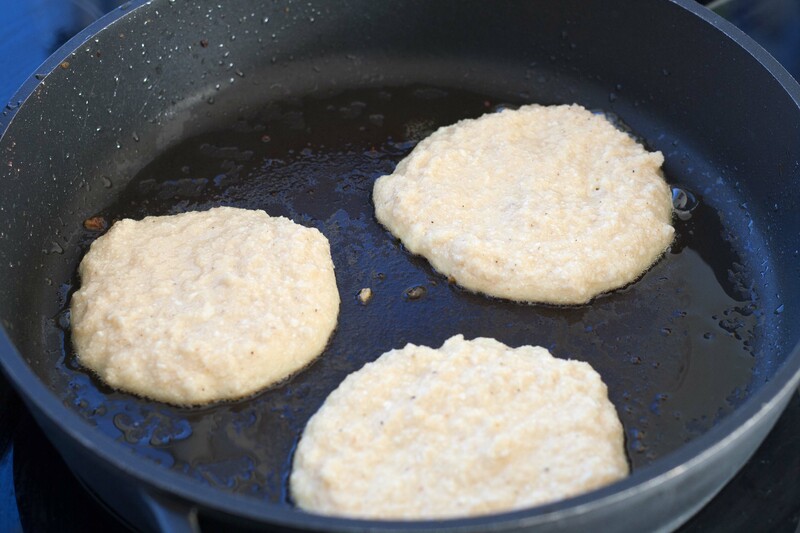 We have heard about cauliflower pancakes several times and we have to confess it did not sound like something we would like. 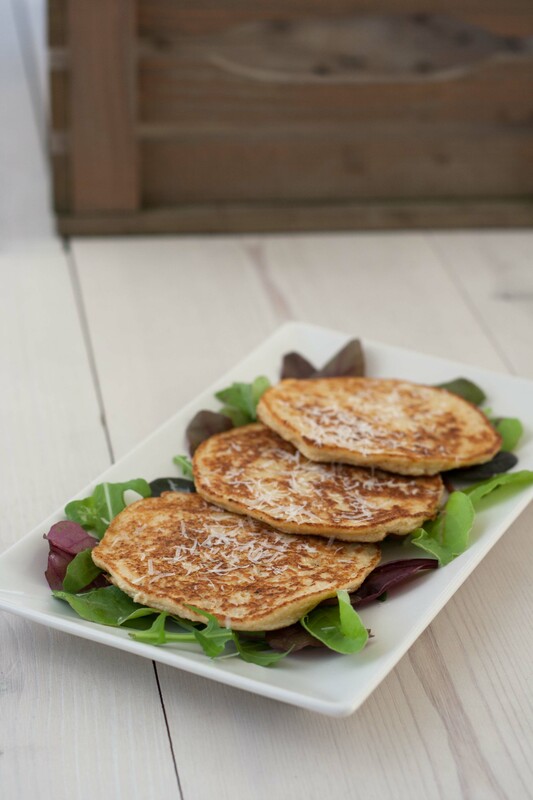 However, one day we had an extra cauliflower in the fridge, and we always try to avoid throwing out food, so we decided to try out the cauliflower pancakes – and we are glad that we did! 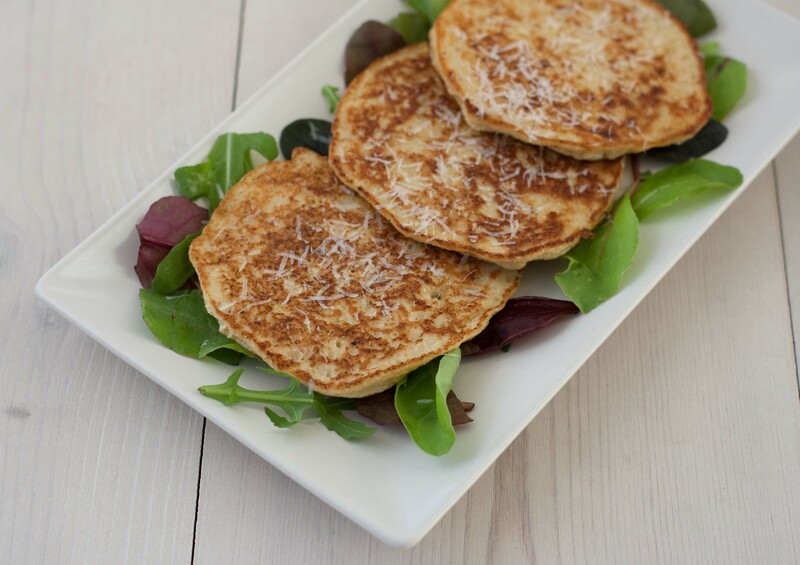 Cauliflower pancakes are pretty famous in the food blogging world, mostly because they are healthy and easy to cook, but also because they are very delicious. These pancakes go perfectly for each meal a day – breakfast, lunch, dinner or maybe just as a snack. 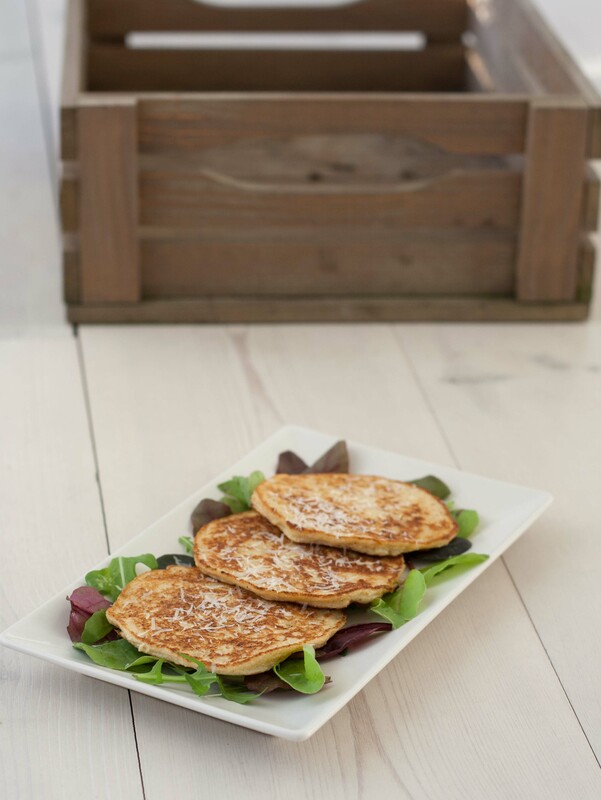 We would also like to recommend our healthy pancakes with oats and apples, and our famous healthy pancakes with banana – both recipes are healthy and super delicious! Step 1: Divide the cauliflower into smaller florets and fine chop them in a food processor. Step 2: Mix the chopped cauliflower with the grated Parmesan, eggs, flour. Mix it all well. Step 3: Heat up some oil in a frying pan and pour on two tbsp. of the pancake dough. Fry them for a couple of minutes on each side.